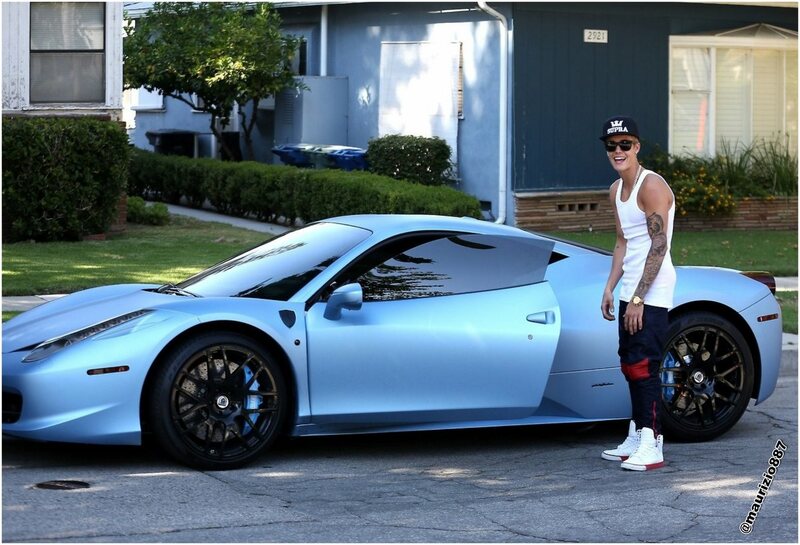 justin bieber ferrari 458 italia, 2013. justin bieber ferrari 458 italia, 2013. HD Wallpaper and background images in the Justin Bieber club tagged: justin bieber ferrari 458 italia 2013 los angeles swag. This Justin Bieber photo might contain berline, coupé, hayon, portes à hayon, hatchback, porte à hayon, berline avec hayon arrière, and porte de hayon.